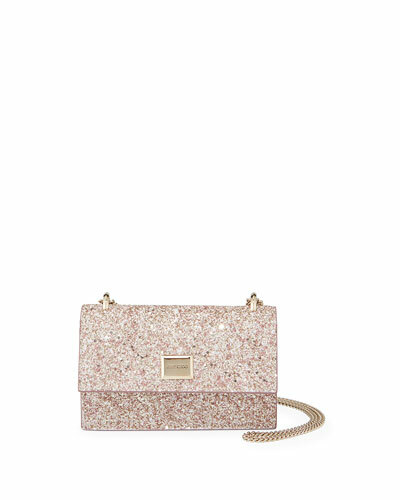 Looking for the perfect bag for your evening outfit? 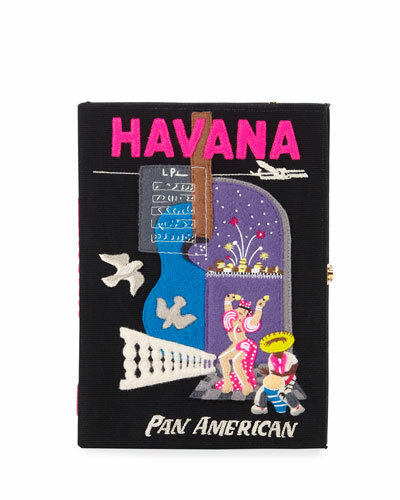 At Neiman Marcus, we offer a stunning selection of evening bags for formal evenings or parties, from top designers from around the world. You can easily browse our collection by designer name, type, color, size, and more, to find your match. From evening clutches embellished with crystals or in quirky shapes to elegant crossbody bags in black, white, and vibrant prints, the collection readies you for a glamorous evening. Whether you’re looking for something classy or feel like adding some fun to your ensemble, you’ll find something to love in our collection of women’s bags. 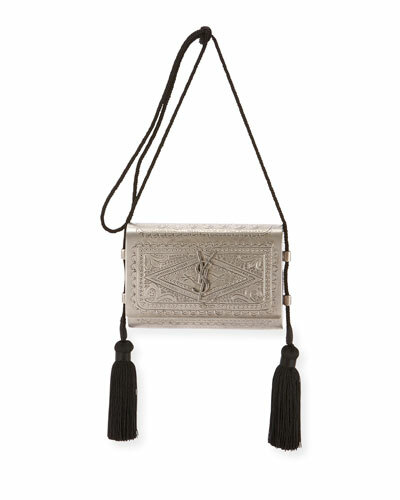 Shop Neiman Marcus for designer evening bags for trendy designs and cool shapes. 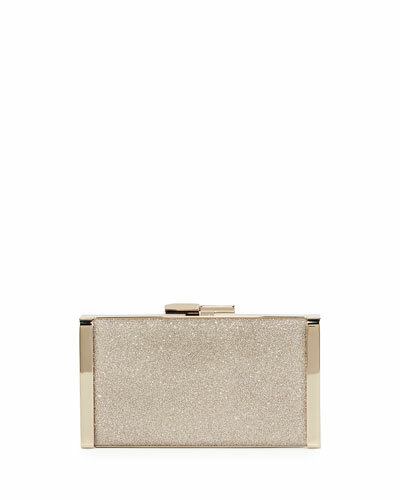 Christian Louboutin shiny patent clutch bag with golden hardware. Removable chain shoulder strap, 20.7" drop. Reinforced top; logo lift clasp. Christian Louboutin shiny patent clutch bag with golden hardware. Removable chain shoulder strap, 20.7" drop. Reinforced top; logo lift clasp. Interior, signature red lining. One slip pocket. 5.7"H x 10.8"W x 2.2"D. "Palmete" is made in Italy. 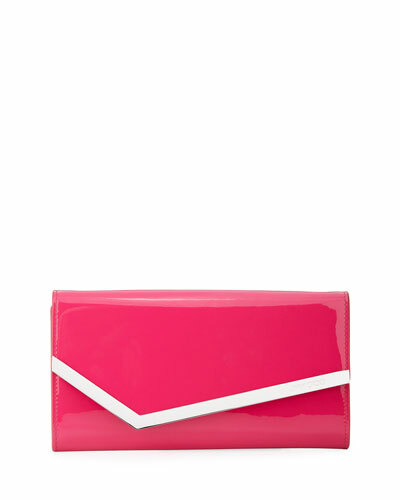 Jimmy Choo clutch bag in metallic patent leather with silvertone hardware. Removable chain shoulder strap, 10" drop. Flap top with snap closure. Asymmetric front with engraved logo. Suede and linen lining; one slip pocket. 5.5"H x 11"W x 1.5"D. Made in Italy. 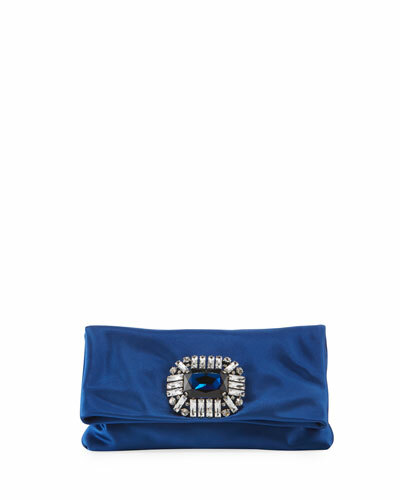 Jimmy Choo glittered acrylic clutch bag with silvertone hardware. Removable chain shoulder strap, 18" drop. Flap top with snap closure; embossed logo. Exterior, metallic leather side panels. Interior, satin lining; one slip pocket. 4.5"H x 9.5"W x 1.5"D. Made in Italy. 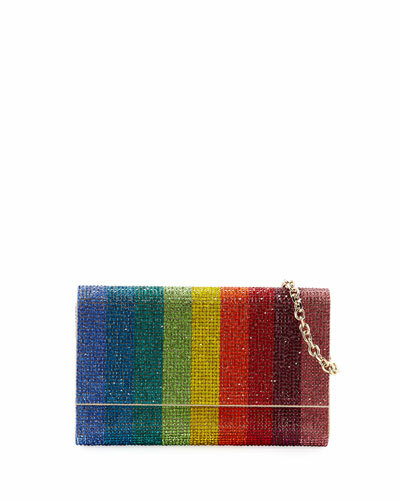 Judith Leiber Couture hot air balloon minaudiere clutch bag with rainbow zigzag stripes. Fully beaded in the finest Austrian crystals. Judith Leiber Couture hot air balloon minaudiere clutch bag with rainbow zigzag stripes. Fully beaded in the finest Austrian crystals. Rainbow zigzag stripes. Shoulder chain may be tucked in, 19"L. Push-down lock. Metallic napa lining (no pockets). 6"H x 3.5"W x 3.5"D. Made in Italy.